We are collaborating with digital engineering pioneers to create cutting edge and quality solutions for our clients needs. 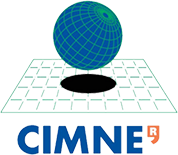 The International Centre for Numerical Methods in Engineering (CIMNE) is a research organization focused on developing numerical methods and computational techniques for advancing knowledge and technology in engineering and applied sciences. Our CEO Raju Gandikota is its Scientific Director for The United States. Compass is a consulting services company specialized in the engineering design. We are the North American distributors for their simulation software product, TDYN. The product offers a unique solution for structural, flow, heat transfer, fluid-structure interaction, multi-physics and sea-keeping problems in a single integrated package. Laboratory of Computational Mechanics a software lab that specializes in simulation of kinematics and dynamics of planar and spatial mechanical systems. With UM, we develop numerical methods and software for ridged body dynamics. We collaborate to develop drilling dynamic suite products.